The burden of choosing only 50 songs to help define the year in music feels wrong and just a bit insane. After all, there are literally tens of thousands of tracks to choose from, and the ability to discern the difference in quality among them can often seem akin to a parent being forced to choose a favorite child. So my decision process when assembling this list was challenging to say the least. It did leave me with enough regret to compose an additional “Honorable Mention” list, which you can check out right here if you’re so inclined. Before we get started, I wanted to briefly explain a couple of rules I implemented when making selections for these top 50 Songs. First and foremost, no artist may be featured more than once on the list. That rule doesn’t apply to guest spots or features. It’s how *spoiler alert* Kendrick Lamar and Kamasi Washington managed to make it onto this list twice. Secondly, every song on the list must have been officially released in 2017 as part of an album, soundtrack, or single. In other words, you won’t find any leftover songs from 2016 here, nor will you find any pre-release singles for early 2018 records. There are a few tracks on this list from artists that didn’t release an album or EP in 2017, but still delivered one-off singles. Those songs may wind up on yet-to-be-announced records for 2018, and if that’s the case they will automatically be disqualified from “Best of” consideration for next year. As for the songs featured in this post, I’m fully convinced and committed to proclaiming they’re the cream of the crop. They’ve managed to provide a guiding light for me over the course of this dark year, while also pushing back against the status quo. Their ability to excite, innovate, and comfort is unparalleled. If you don’t understand what they’re trying to do on the first listen, give them another shot, because a few of these are real growers. It is my sincerest hope that this list manages to bring back some fond memories of shows or albums you heard earlier this year and loved, or provides inspiration and discovery of artists and songs you might not have heard of before now. So please absorb these tracks into your life and let them work their magic. Click the play button on each one to hear a stream, or just scroll to the very bottom of this list for a Spotify playlist featuring every track except for one. See if you can figure out which for the 50 that is! 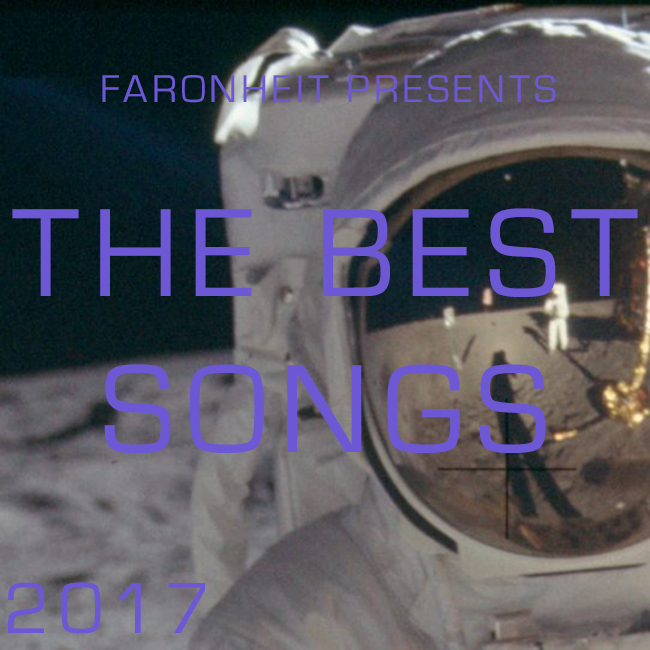 Join me after the jump, as we take a closer look at the 50 Best Songs of 2017. 24. LCD Soundsystem – How Do You Sleep? 1. Kendrick Lamar – DNA.